DMW was the last motorcycle manufacturer in the Black Country. The company, which closed in the mid 1990s was also one of the longest survivors, having produced motorcycles for about 50 years. The company was, and still is well-known amongst trials and racing enthusiasts, and has had many racing triumphs. DMW machines are still used at sporting events, and will probably still be in use for many years to come. 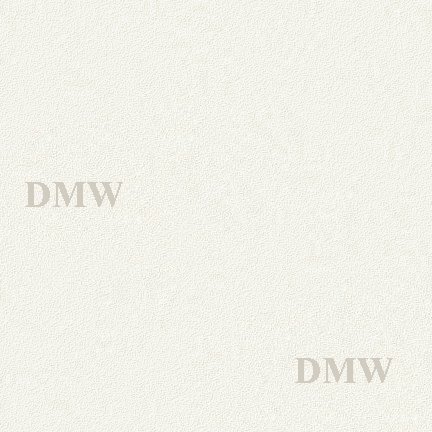 During its lifetime DMW produced about 15,000 machines, and many manufacturers used the company's forks, and in later years its engines. I would like to thank Jo Skidmore and her father, ex-DMW Director, Ivan Dyke for all of their help in preparing this section, and also for the many photographs they have allowed me to use. I would also like to thank Grant Dawson, Leslie's Dawson's son, for information and photographs of his father. 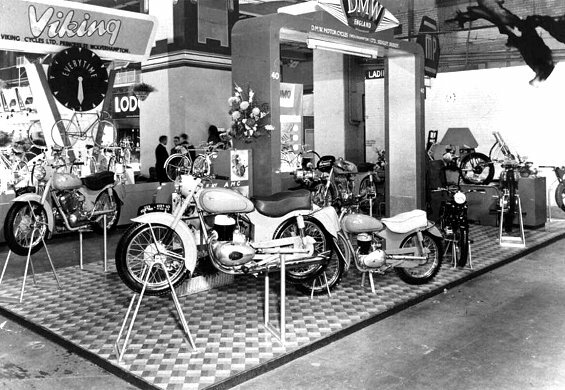 A DMW stand, at a show in 1954 or 1955. Courtesy of Jo Skidmore.